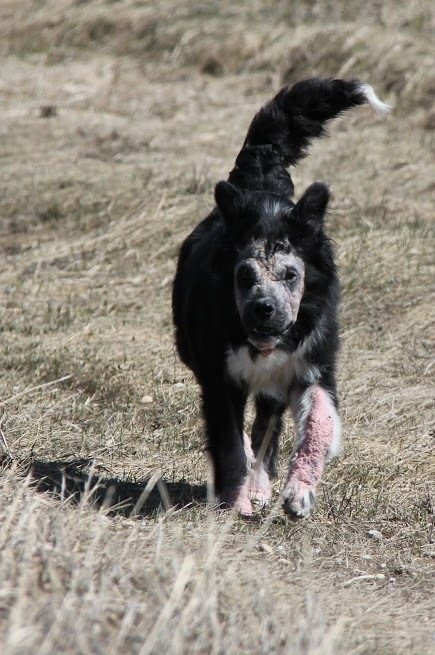 Norris presented to The Animal Care Centre of Strathmore with multiple lesions and hair loss surrounding his eyes, legs and body. His face was very swollen and his skin was thickened and sore. 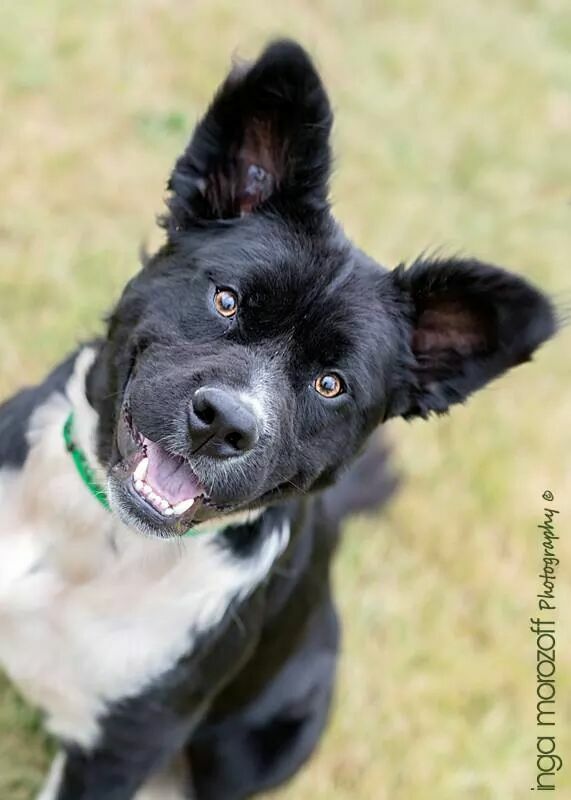 Norris was a rescue dog through the AARCS organization (Alberta Animal Rescue Crew Society) and had just made a transition into foster care with Alicia Flint. She noticed shortly after he transferred to his temporary home, that his skin dramatically worsened and became very severe. He was previously treated at another vet hospital for demodectic mange and a skin infection. A skin scraping and cytology was taken from Norris' skin to determine what his current condition involved. 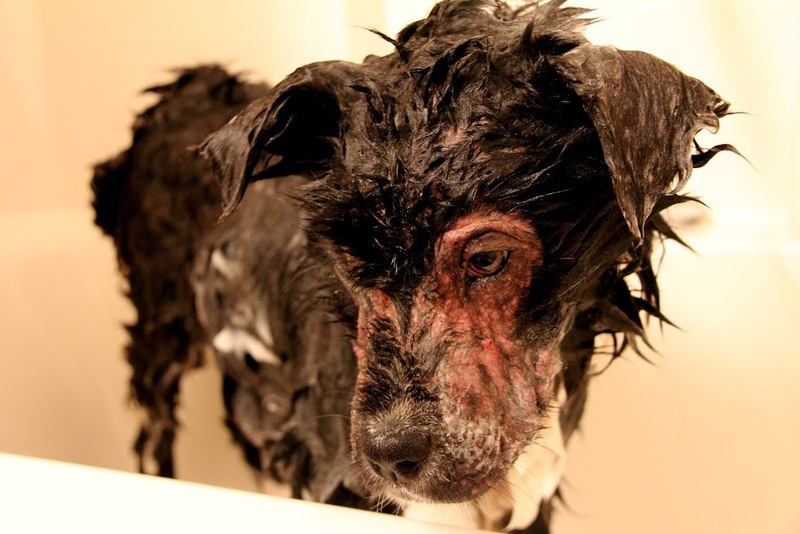 The scraping revealed a severe overload of demodectic mange still present, and a severe secondary infection of the skin. Demodex is a mite that normally occurs on the skin in small numbers. There are different types of mites that are contagious, and some that are not. This particular mite is not contagious to humans or to other dogs, and the mite multiplies in numbers when the immune system is depressed. It is therefore considered an immune-mediated disease. Norris' immune system could not fight off the demodex, and in turn it took over. Stress and home life changes for Norris could have impacted the severity of the infection, as he moved from home, to rescue life, and into foster care. Norris was treated by two veterinarians here at The Animal Care Centre of Strathmore, Dr. Rand Davis, and Dr. Jodi Viste. Norris was switched to a different medication in case the severe skin infection was due to a sensitivity with the current drug he was on. He was put on Advantage Multi (a topical mange treatment) as well as a cephalexin antibiotic to help with his skin infection. Eventually Norris was switched back to a low dose ivermectin treatment and closely monitored for improvements. Alicia worked very hard at trying to stabilize Norris' home environment by minimizing stress factors, and ensuring he had a healthy home environment. His home care routine consisted of healthy foods, oral mediations, topical skin treatments, ample play time, and lots of love! His medications changed as required over a few months until his hair started to come back in, and the lesions started to clear. Alicia and the AARCS crew gave Norris a second chance in life as he recovered from this painful disease. Norris has since made a full recovery! His coat has returned to a luxurious condition, and his skin lesions are no longer present. He is truly a brand new dog! Alicia decided to adopt Norris into her family, and he now lives the happy, relaxed lifestyle that he deserves in a loving, healthy environment!